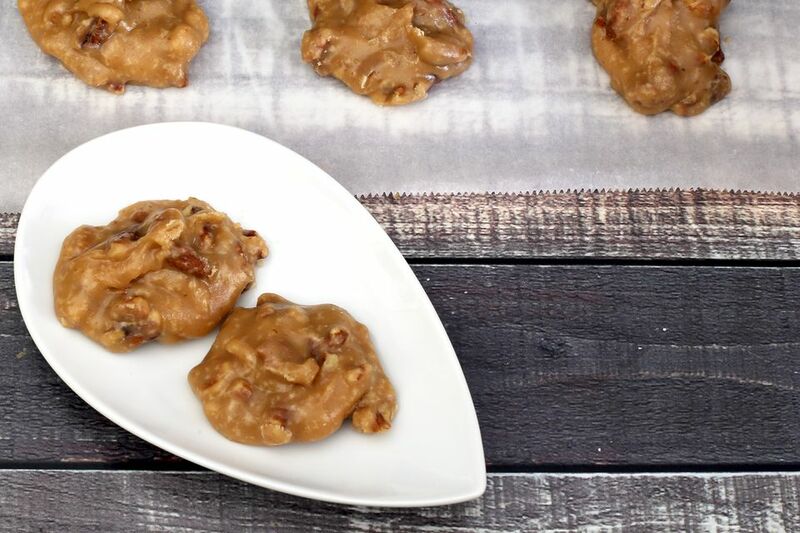 These New Orleans-style pralines are incredibly delicious, and they are super easy to make. Just boil the candy mixture to the soft ball stage, stir, and let them set until firm. These are similar to a basic cooked fudge, but they are spooned onto wax paper or parchment paper to make small patties. You might be surprised to know that pralines and other types of fudge and caramels freeze well, so you can get a head start on holiday candy making.. See the tips and variations for how to store your homemade pralines. Lay an 18-inch sheet of wax paper or parchment paper out on the countertop. Cut the butter into small pieces. Place the pieces of butter on a plate and put the plate in the freezer. In a heavy medium saucepan, combine the granulated and brown sugar with the evaporated milk. Place the pan over medium heat and cook until the mixture reaches the soft ball stage. * If you have a candy thermometer (recommended), it should register about 235 F.
Remove the pan from the burner and stir in the frozen butter. Add the vanilla and pecans and continue stirring until the mixture is no longer shiny but is not too stiff. The candy should spread slightly when you spoon it onto the paper. Use a tablespoon to spoon mounds of the candy onto the wax paper or parchment. Let the candy stand until firm. Store the pralines in an airtight container for up to 2 to 3 weeks. Enjoy! For gift giving, wrap the pralines individually in cellophane wrappers or arrange them in a decorative tin with sheets of wax paper separating layers. Freeze pralines for up to 3 months in airtight containers lined with wax paper. Separate layers with wax paper or wrap the individual pralines. Replace the evaporated milk with half-and-half or light cream. Toast the pecans before adding them to the candy mixture.